Multicollar Slim is a 30 mm-high universal fire collar that consists of a stainel ss steel band made of 174 links and a high-quality inlay on a graphite basis. In order to achieve the desired pipe diameter, the links can easily be separated. In the event of fire, the Multicollar Slim starts foaming and creates a fire-resistant seal to adjacent rooms. In combination with the Multisealant A sealant, it is also possible to achieve a smoke-proof finish. This fire collar has been extensively tested in Europe in accordance with EN 1366-3. 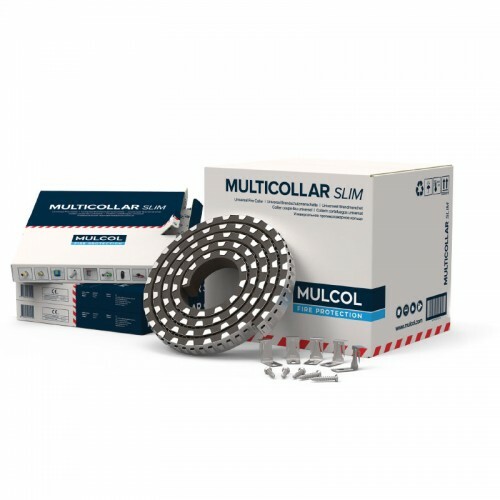 The Multicollar Slim fire collar is a single product for all applications. Thanks to the Multiclips and Multiscrews included in the box, one person can easily install it. 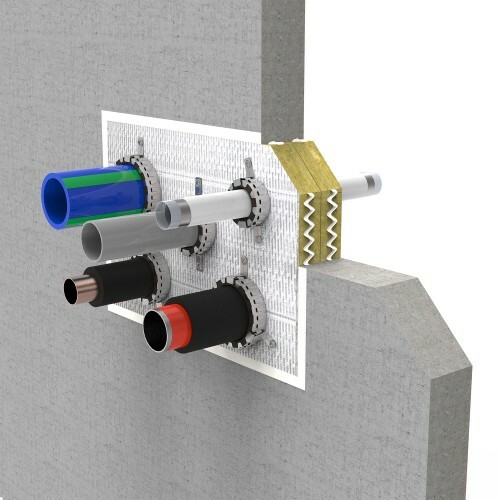 Multicollar Slim forms part of the Mulcol® Penetration Seal System. Technical Data Sheet and all fixing media in one. 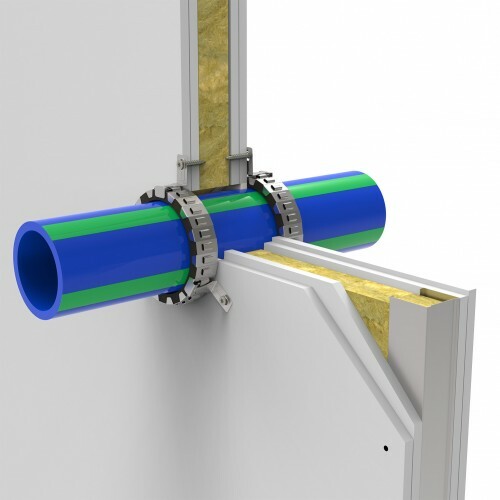 The remaining links of the Multicollar Slim on the roll can simply be linked up using the enclosed Multiclips, thus enabling maximum use of the Multicollar Slim. Please contact your Mulcol contact person for applications of plastic pipes and for the consumption overview of metal and aluminium composite pipes, aluminium flue gas extraction pipes and insulated pipes.